When you and your husband both work and you're busy raising kids....alone time is very few and far between. So.....we decided to stage an intervention. Shawn's parents agreed to babysit the kids overnight for us.....and my Mom and Dad agreed to pet sit over night for us. Saturday morning we woke up bright and early to get our run out of the way. We then dropped the kids off and hit the road. 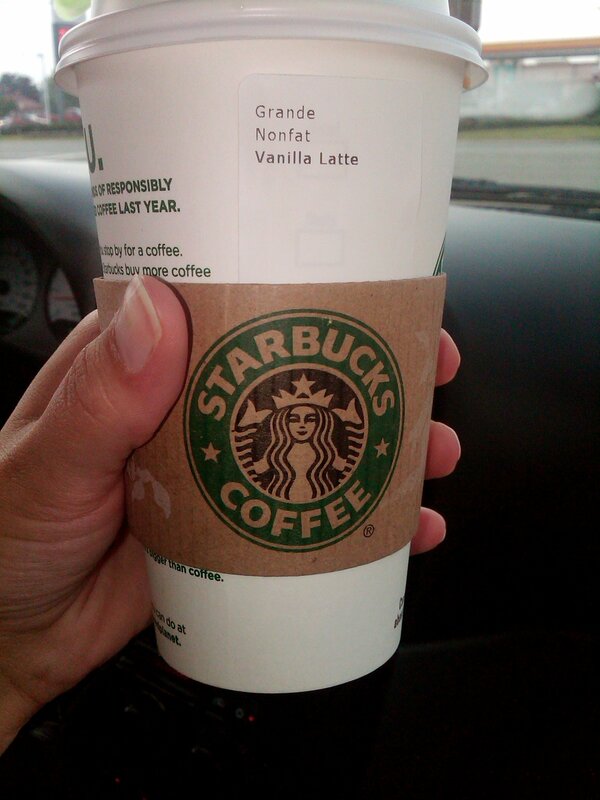 A road trip isn't complete without a trip to Starbucks! It had literally been about 15 years since I've been there....and about 4 years since I've road a real rollar coaster. We had a blast! About half way through our day, rain threatened to ruin it for us. As we were standing in line for a ride, it let loose drenching us. We decided to make the best of it and head to their water park. This didn't seem to be in the plans either because they kept shutting down the slides due to weather. We were not sure what to do. Do we call it quits early and head to the hotel.....or wait it out. We chose to go to the car, grab some dry clothes and wait it out. I'm so glad that we did. We ended up having such a wonderful day and night riding roller coaster after roller coaster......and screaming like a couple kids! Around 10 we went back to the hotel to get a good nights sleep....because the next day, we were making our maiden voyage to Ikea! We got there around 11:30 and the parking lot was already pretty full. We spent about 2 hours shopping around and checking everything out. We came home with a shoe organizer for our mud room, and office chair, plastic dinner wear for the kids, and a few other misc. items. 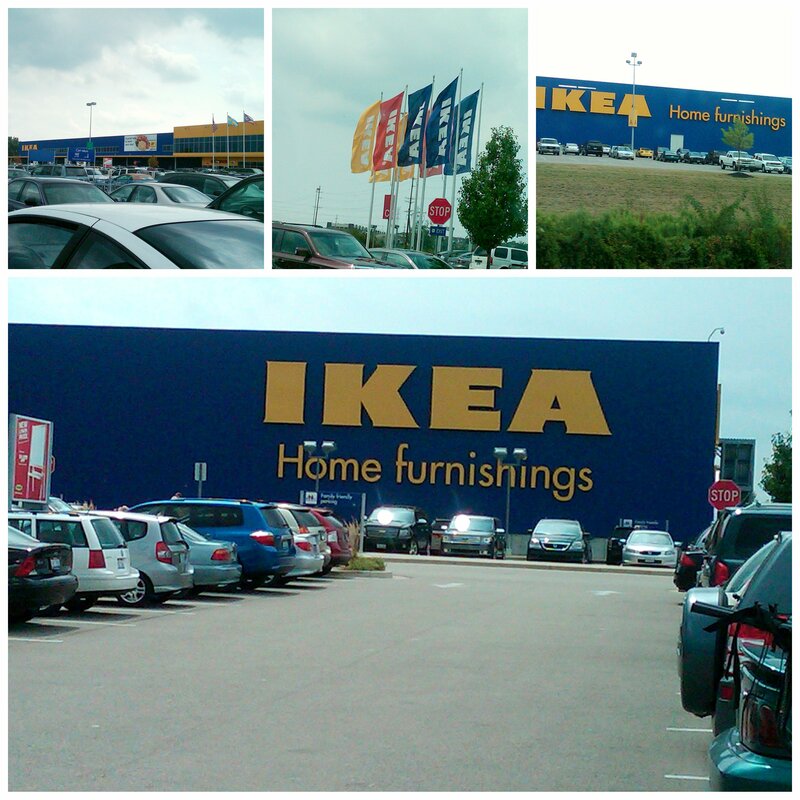 I loved Ikea....and can not wait to go back again!!! 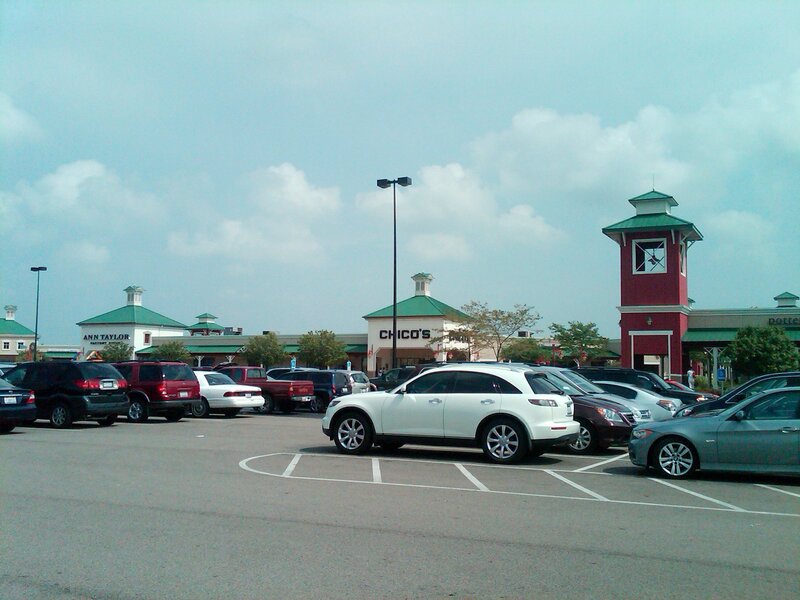 On our way home, we have to pass by an outlet mall. And you know the rule....you simply are not allowed to drive past an outlet without stopping. Getting tired and hungry at this point, we decided to make another yummy pitstop. 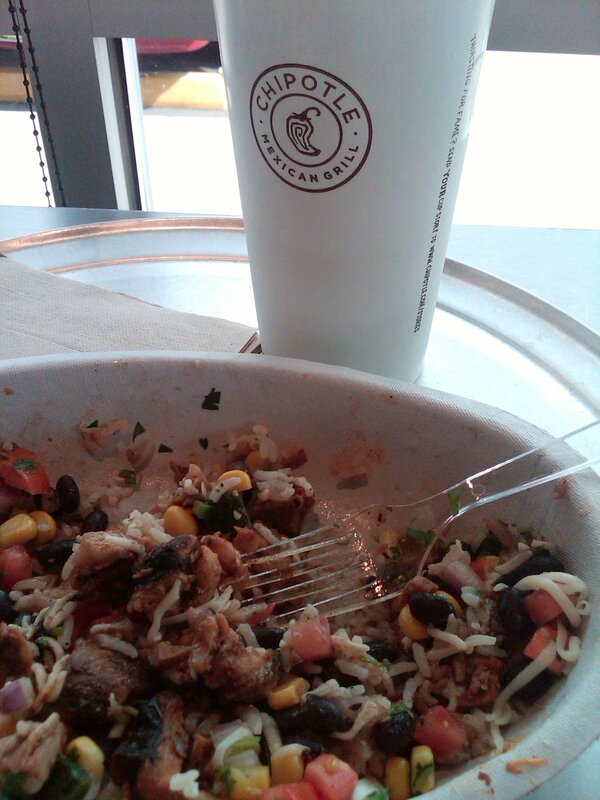 This time at Chipotle. I was hoping to find some good stuff for the upcoming school year. I however have a horrible time bringing myself to pay full price at an outlet mall. Therefore....I bought out of season and got the kids some great goodies for next summer. My goodies included lots of shirts for $2.99 and 3...yeah, that's right 3 pair of sandals for Grace at $2.99 each. Shawn and I had so much fun together.....but I was also super duper excited to get home and see my kiddos and smother them in hugs and kisses!